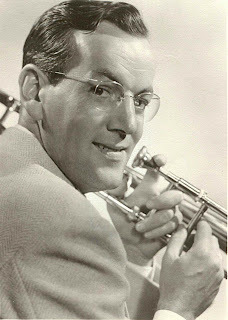 In 1939, trombonist and bandleader Glenn Miller was struggling to gain recognition and keep his second orchestra together when he landed a regular spot on CBS radio. 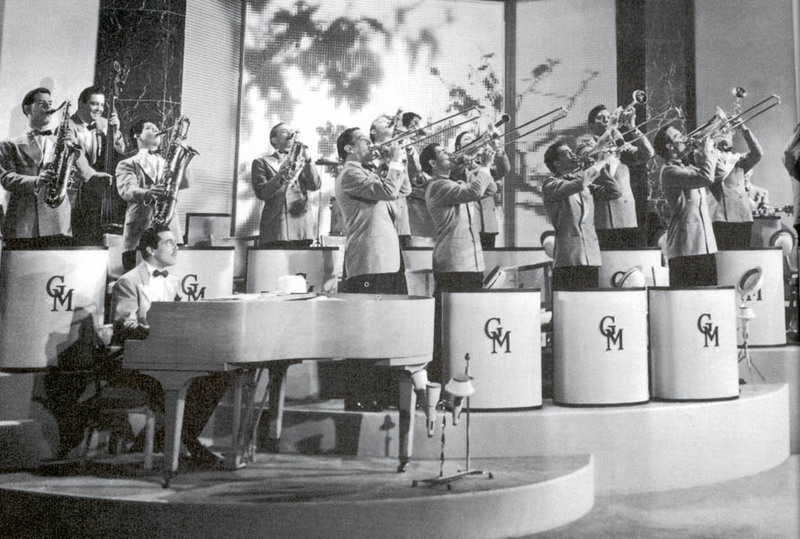 The national exposure proved invaluable and by the end of the year, Miller’s inviting brand of swing music had made his band one of the most popular in the U.S. While many jazz purists derided the band (and many still do) for its highly polished, highly rehearsed sound, the public absolutely ate it up. Over the next few years, Miller would absolutely dominate the pop charts, earning number-one hit after number-one hit. And while there is no denying that he catered to mainstream tastes, it is hard to argue that his success wasn’t deserved. He led a talented group that created some of the most remarkable records of the era, and he was as innovative in his own way as any other big band leader. As proof, here are some of the earliest and best records from his remarkable career. Of all of Miller’s well-known hits, “Little Brown Jug” may be the one that least follows the Miller formula, sounding very much like something we would expect from Bennie Goodman or Tommy Dorsey. But that does not make it any less brilliant. Miller’s trademark precision is here in spades as the band moves like a well-oiled machine to play the main theme and back up the soloists. As a case in point, note the dramatic build-up between the first and second solos: a riff repeated three times by the ensemble, followed by a held-note crescendo by the trumpets, and then even greater urgency as the trombones join in. The solos sound very melodic and rehearsed, but they are also full of energy and backed by a driving drum beat, and the song never sinks into predictability even as it remains danceable to the end. 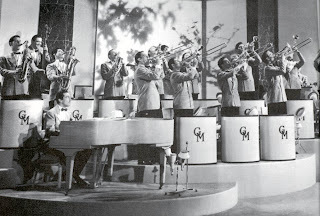 “In the Mood” is Miller’s most enduring hit, a fast-paced number that is both lullaby soft and irresistibly energetic. After a brief but noteworthy intro, the full orchestra jumps in and lays down one of the most memorable melodies in big band history. We are then treated to some soloing that expounds upon the theme in exciting ways without departing from it. But the most exciting part comes when the full orchestra returns. Once again, they play the main melody, but this time they play it softer and softer, with drawn-out pauses between each iterance. Finally, after one such pause, they return to full volume and build up to a glorious finale. “Moonlight Serenade” was Miller’s breakthrough hit, and little wonder as the song’s gentle melody is so sentimentally sweet that it provides a perfect vessel for whatever strong emotion the listener may be feeling. As the Great Depression wore on and the world headed towards war, “Moonlight Serenade” struck a chord with listeners. Indeed, it is a lovely song and even today is arresting in its simple beauty. The record almost exclusively features ensemble playing, but the highlight is a wonderful, mellow clarinet solo about two-thirds of the way in. With tenor sax playing a subtle, low countermelody in the background, the clarinet soars into the high notes and strips the song to its barest emotion.